There are times when you need to improve a wireless signal to cover every single corner of your home and it is then that you have to invest your dollars in getting a wireless extender. Wireless extenders which are also called repeaters connect to a current router wirelessly and can strengthen the range of the signal by re-broadcasting it. When there are dead zones where you don’t get internet, you can use wireless extenders to get strong connection. However, you should note that as extenders can easily extend your range, they may even halve the throughput. 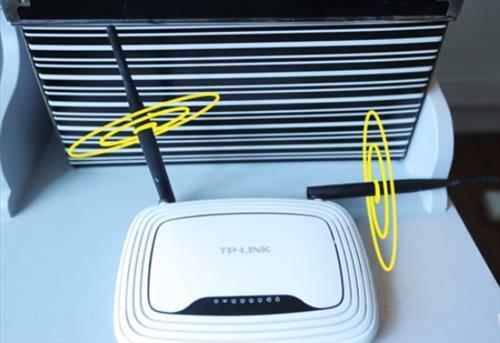 In case you face issues with wifi coverage, opt for a dual-band router as most of the extenders work better with long range 2.4 GHz band. Keep the 5GHz band and retain it for the lighter throughput tasks like checking mail or web browsing. Once you’re done with the right equipment, determine where you can keep the extender or rather its best location. You should try to keep the extender mid-way between the routers where exactly the coverage starts dropping. There’s a great tip shared by the manager of a certain networking hardware company about where you should place your wifi extender. You can set up a FaceTime chat between both the users on 2 different devices on the home network. Make sure you connect both the devices wirelessly to the router and while the first user stays right close to the router, the next user moves farther away from the router. Whenever you see that the chat drops and the second user moves away, you can point out that weak signal area and place your wireless extender there. One more way in which you may analyze where your signal falls weak is by using the free software called inSSIDer. The software will show you the appropriate signal strength of the router as it is measured in dBm. You can use this software by installing it in Mac laptop, Windows device or in any Android device. When you’re in close proximity with the router, note the strength of the signal and then move away to note how the signal drops. This is how you can determine the place of the extender. The closer is the number to 0, the stronger will be the wireless signal. The above tips can be used when you reside in an apartment or in a detached house. But if you live in an apartment where the routers and access points of others are in close proximity, it might be a good idea to measure the readings after work when most of the users are at home and are connected with the internet. When you decide to buy such repeaters, you may opt for Zyxel wireless extenders, it is better to buy the same company which has made your router as that is the best option. But that isn’t a hard and fast rule and you can even get extenders of other company.